Advanced contraceptive methods are up to 99% effective (or more). Plus, with so many different types of contraception on the market, you have plenty of options to choose from, depending on your needs. Find out which birth control method is right for you by booking an appointment with Shawn Osterholt, MD, FACOG, Richard McNeely, DO, FACOOG, or Curtis Orr, MD, FACOG. These leading practitioners at OB/GYN LTD. in Springfield, Ohio have extensive training with modern contraception methods and can help you find the best solution. Schedule your visit either online or over the phone. Which type of contraception is most effective? The effectiveness of birth control and contraceptives depends on how they’re used. Birth control pills, for instance, are 91% effective, but you have to take it exactly as prescribed at the same time every single day. Otherwise, its effectiveness can be lower. Modern intrauterine devices (IUDs) and birth control implants are some of the most effective types of contraception; both are over 99% effective. What’s particularly beneficial about these contraceptives is your doctor places them, so there’s nothing to remember to do (or take). It’s important to remember that while many contraceptive options are over 90% effective for preventing unwanted pregnancies, they don’t protect you from sexually-transmitted diseases or infections (STDs or STIs). It’s still essential to use a condom to prevent STDs and STIs. The best type of birth control for you depends on your lifestyle and how soon you want to get pregnant (if at all). If you plan to start a family within a year or two, for example, taking a birth control pill or getting a birth control shot might be best. It’s easy to stop these contraceptives when you’re ready to conceive. Or, if you don’t plan on starting a family for an extended period, you might want to consider an implant. 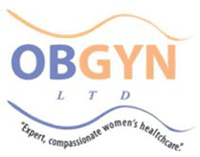 OB/GYN LTD. offers Nexplanon® implants that can prevent pregnancy for up to three years. IUDs can be effective for up to 10 years or more, depending on which one you choose. If you and your partner don’t plan to have children, or if your family is complete, the best contraception for you might be tubal ligation. This permanent sterilization method involves going through a minimally-invasive procedure, but it’s over 99% effective at permanently preventing pregnancies. Can I still get pregnant after I stop taking birth control? The beneficial thing about pills, patches, shots, IUDs, and implants is that you're fertile as soon as they wear off (or as soon as you have them removed). In some cases, you can even become pregnant within a few weeks of stopping your contraceptive method. If you need to start birth control or are looking for an alternative method, schedule an exam at OB/GYN LTD. by calling the office or using the online scheduler.